Hertha Berlin are discussing a move to sign Ozyakup in the coming window. According to the football transfer rumours in Turkish media, Hertha Berlin are set to sign Besiktas midfielder Oguzhan Ozyakup. The Turkey international was signed by Besiktas in July 2012 from Arsenal for a fee of 500,000 euros. The 25-year-old has a contract until 2018 with the club. 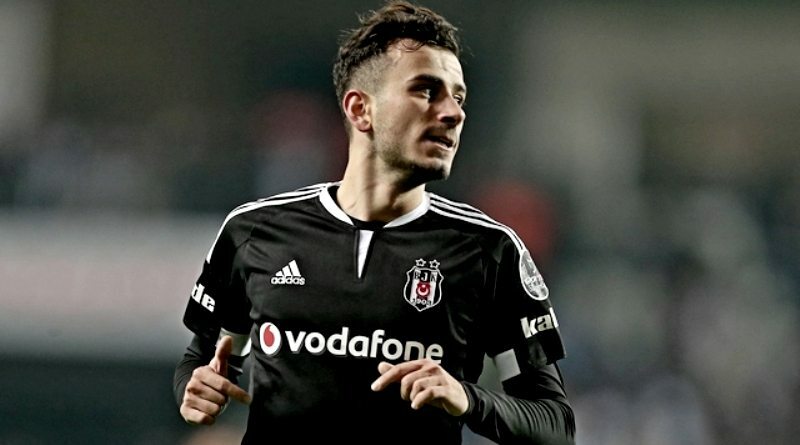 Ozyakup has scored 27 goals in 202 games for Besiktas since joining the club in 2012. The 25-year-old is considered to be one of the best midfielders in Turkey. Oguzhan Ozyakup has also scored one goal in 32 games for his country. The midfielder has just six months remaining on his contract and Besiktas may consider a deal in this transfer window to avoid losing him for nothing next summer. Pal Dardai is looking to shore up his midfield options and Besiktas’s Oguzhan Ozyakup happens to be a target. He is a long term admirer of Oguzhan Ozyakup and believes he can get the most out of the Turkey international. Hertha Berlin will be in the market for just a handful of statement signings who can improve the first-team. According to the report, Hertha will make a bid for Ozyakup in January and have already entered talks with Besiktas. The Turkish giants have yet to make a decision on whether to cash in or try to push through a new contract deal. Arsenal have also been closely linked with their former academy player and they are prepared to offer 13 million euros for their former academy product. Ozyakup has played an important role in Besiktas winning back to back league titles. Signing the 25-year-old in January would be a masterstroke from Pal Dardai. Will Oguzhan Ozyakup be a Hertha player soon? Only time will tell.